This is going to be AWESOME! Come see Mighty MAX, FEED the gators, and HOLD a small gator!! 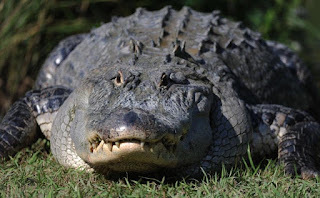 We will have a guided adventure to the elevated viewing platform where you can see over 450 alligators from hatchlings to mature adults, relaxing, sunbathing, courting, and nesting. We will get to see FEEDING time!! After a breathtaking view, we will continue our adventure with a nature walk on the elevated boardwalk and see alligators in their natural habitat along with other natural inhabitants such as turtles, ospreys, owls and bullfrogs only a couple feet away! We will be having lunch under a covered picnic area, so bring a sack lunch and let's have fun! 3 and Under FREE, no gator food included, can buy for additional $2. RSVP & PAYMENT: Please RSVP to Jennifer at 205-983-4028. I accept PayPal for payment. Please call me to get my PayPal address and reserve your spot.